If File Explorer doesn't starts itself, this registry fix will help you to solve the issue of Explorer.exe not running on startup in Windows 10/8/7. 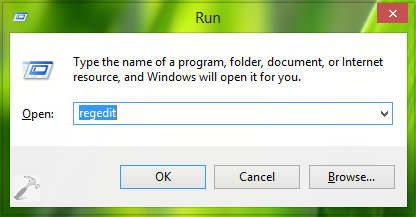 Whenever we sign-in to Windows, usually the File Explorer starts itself automatically. In case we need to restart Explorer, we can do it with the help of Task Manager. The automatic start up of Explorer helps you to browse files and folders quickly. Now imagine if the system won’t find Explorer starting automatically, what will happen? This could be the issue with your system, where you find only the black screen after logon, having only the pointer in it. Recently, I came around this issue as experienced with Windows 8.1. 3. In the right pane of this location, look for the Shell named registry string (REG_SZ). All you need to make sure is that this string must have the Value data equals to explorer.exe. If you’re facing the issue, you might find different Value data, so restore it explorer.exe, which is the default value. It will significantly fix the issue. You may close the Registry Editor and reboot to verify. Thanks for the fix, it worked like charm! I have the right value but explorer does not run on startup. ^^ Have you tried SFC scan already? ^^ Thanks for adding this! I did sfc scan and it didn’t find any integrity anomaly and “shell” record in my registry is fine with the right string “explorer.exe”. I also checked system with antivirus and none of the things found as menaces sorted this issue. Allthough this i keep having black screen at startup after login. ^^ If you’ve System Restore points created earlier, use them to restore Windows back. I still don’t know how this happened though, but at least now it is fixed and explorer boots normally at startup. HKEY_CURRENT_USER\Software\Microsoft\Windows NT\CurrentVersion\Winlogon —> Shell value was %comspec%. I changed it to “explorer.exe” and the problem is gone ! Explorer starts automatically now at Windows startup !